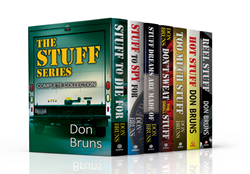 For those who love humor as well as fast-paced mysteries, the “Stuff” series seven book collection has it all. Combining the stumbling shenanigans of James Lessor and Skip More, two twenty-something ne’er-do-wells trying to succeed as crime solvers produces laugh-out-loud moments while delivering a great mystery. For any fans of “the Hardy Boys” these books are a must read to witness them “all grown up”. "This is the stuff of side-aching laughs: Hiaasen meets grown-up Spy Kids. Bruns has proven he’s definitely got Florida down ... for the count." "Roommates Skip Moore and James Lessor of More or Less Investigations receive PI licenses from the Florida Department of Agriculture ("Don't ask why.... This is Florida. They just do things a little differently here") in Bruns's diverting if predictable fourth mystery to feature the bumbling sleuths (after 2009's Stuff to Spy For). When Moe Bradley, owner of the Moe Show carnival, hires James to be his new marketing director, he also asks them to find out who's been sabotaging the rides. A faulty safety bar on one ride has resulted in a 32-year-old woman being thrown to her death. After Kevin Cross, who knows too much about the carny for his own good, turns up shot to death in his trailer, the action, leavened with plenty of laid-back dialogue, picks up steam and concludes on a cool cliffhanger. Skip's girlfriend, Emily, and their PI pal, Jody Stacy, who supplies the pair with spy toys, add to the fun." "Bruns writes with a style that immediately makes you a part of all the action—it's like hearing a tale from a friend that's filled with mystery, suspense, twists, turns, and everything else that makes for a great read. Don't miss it--a true delight!" 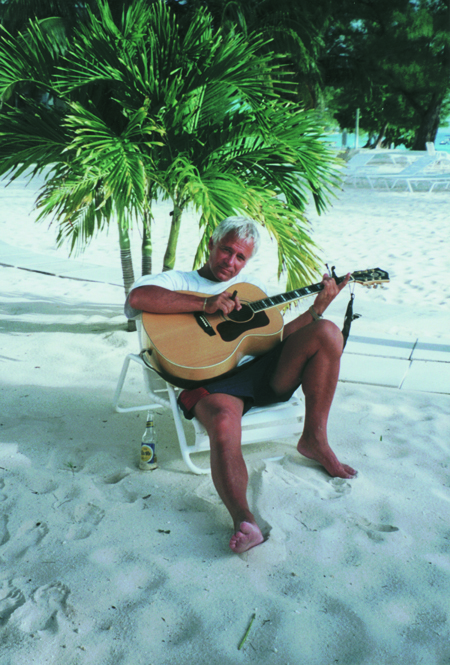 Don Bruns is a singer and songwriter, a painter, a cook, a traveler, and stand-up-comic who has not decided what to do when he grows up. He is also the author of two mystery series. His "Stuff series" showcases the unstoppable yet bumbling young private investigators, Skip Moore and James Lessor, and his "music series" features rock and roll writer Mick Sever. Don and his wife, Linda, live in South Florida.